Browse Vacation News for more articles like this. Cast off for the USS Lexington’s newest exhibit. 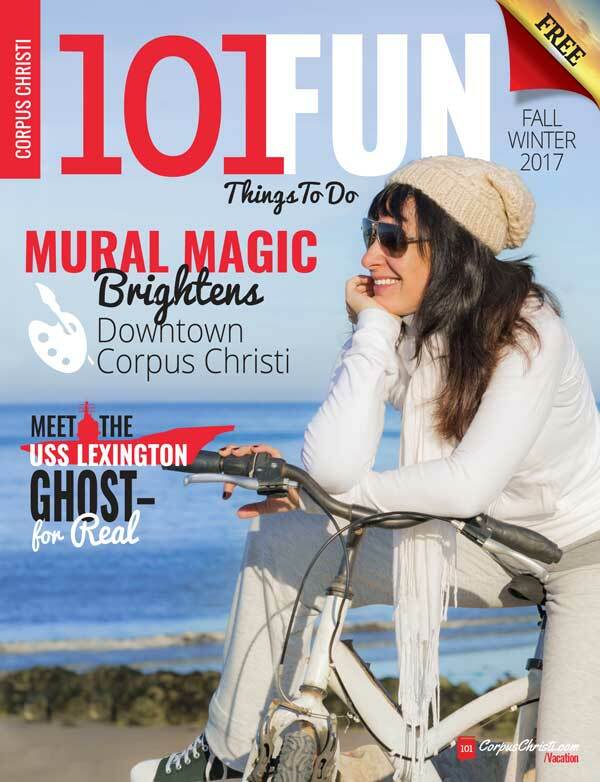 Learn all about the Texas Navy in this exciting 1,000-square-foot area covered floor to ceiling with handpainted murals of ships fighting the waves at sea. 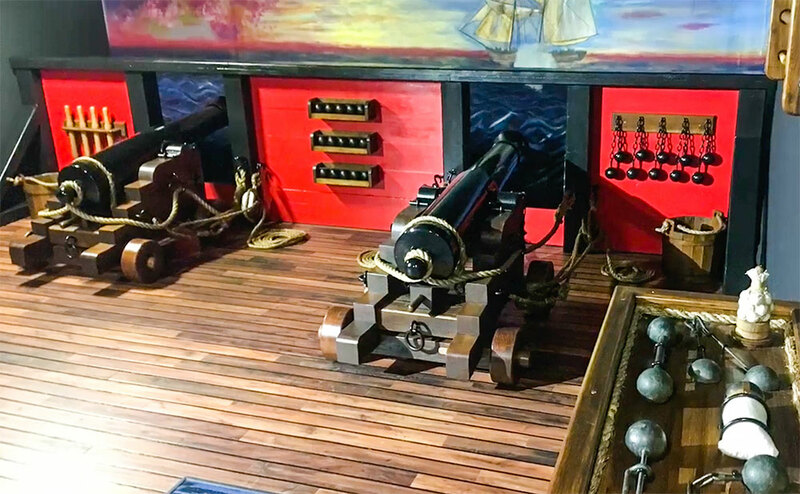 Visitors will also see a custom-made replica of a historic warship’s gun deck, cannons, uniforms, navigation gear, story boards, and more. This exhibit has been four years in the making. In 2014, President of the Texas Navy Association Bill Turner met with USS Lexington officials to propose the onboard exhibit. Turner helped determine the space required and raise the money to make it happen. Turner also wrote and produced the film “How the Texas Navy Saved the Revolution,” which will be presented in an adjacent 300-square-foot mini-theater. The USS Lexington is open year-round, seven days a week, except Thanksgiving and Christmas days. Admission is $14.95 for adults, $12.95 for seniors and military, and $9.95 for ages 4-12. Members and children 3 and younger admitted for free. The USS Lexington is located at 2914 N. Shoreline Blvd. on North Beach in Corpus Christi.